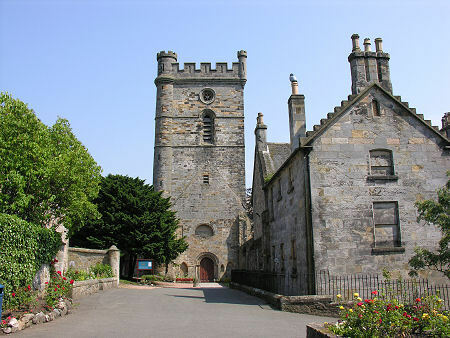 Culross Abbey stands on the hillside above the beautiful and fascinating village of Culross. It's about a third of a mile walk from the centre of the village and a 165ft climb, but the narrowness of the roads at the top of the hill still mean that you are best advised parking in one of the car parks in Culross and walking from there. A visit to Culross Abbey can be a slightly puzzling experience, because a number of factors conspire to make it more difficult than you might expect to make sense of what you are seeing. One of these is the steep slope of the site, meaning that you are tending to be looking uphill from a basement level perspective much of the time. 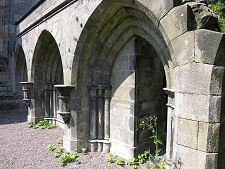 The second is that the cloister has been made into a garden for the manse, which itself has been made out of the north end of the west range. 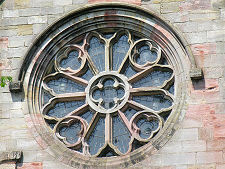 The third is that the configuration of Culross Abbey Church (the subject of a separate feature) is no longer what it was during most of its monastic days, giving a very false impression when you try to line other remains up with it. And the last, and perhaps most important, is that the only interpretation board on the site shows the ground plan of the original abbey, but does not help relate that to the ruins you see around you. 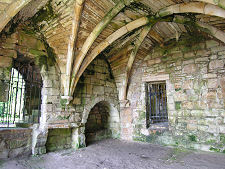 Nonetheless, a visit is also a fascinating experience, in part because you need to think about what you are looking at. 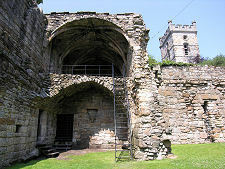 Access to "the Abbey" leads you past the now open south end of the west range of the cloister, complete with its vaulted ceilings at basement and ground floor level, and past the outside of the inner wall of the south range of the cloister at basement level. You end up in the remains of what would once have been the meeting of the east and south ranges, looking up past the foundations of the chapter house to the south transept of the abbey church. 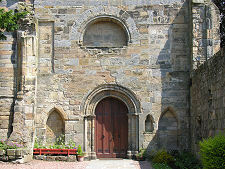 To continue your investigation you need to exit the gate giving access to the abbey grounds, and go up the hill, past the garden to the west of the manse to the corner of the street beyond it. 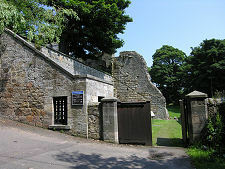 Here the north wall of the manse leads continuously to the south west corner of the 84ft tower that stands at the west end of what is now the parish church, though still called Culross Abbey Church. What you need to realise at this point is that the tower stands in what, until about 1500, was the middle of the abbey church. 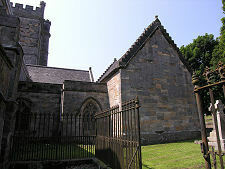 To its east stood the chancel, now used as the parish church. But there was also a nave which, except for parts of its south wall and what then became the base of the tower, has disappeared entirely. 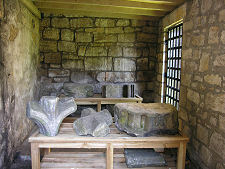 Stone from the nave and other parts of the abbey would have been recycled into the manse, built in 1647, and its western extension, built in 1840: and, doubtless, into other buildings on view in the neighbourhood. The church itself has also been extensively remodelled on a number of occasions since the demise of the abbey in the Reformation in 1560. 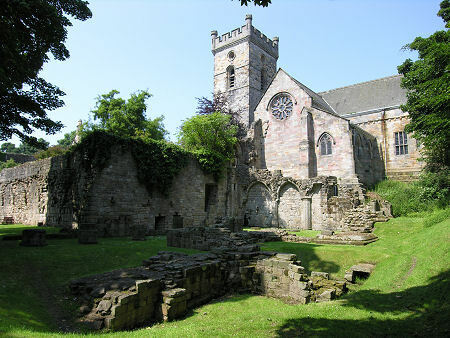 Culross Abbey was founded in 1217 by Malcolm, 3rd Earl of Fife, who brought Cistercian monks here from Kinloss Abbey. The sloping site is not an easy one, and it is said that Malcolm picked this spot because it was believed to have been the site of a monastery associated with St Serf, St Mungo and St Theneva in the 500s. By the late 1400s the Cistercians were turning their attention more to the spiritual needs of the monks and away from community involvement. 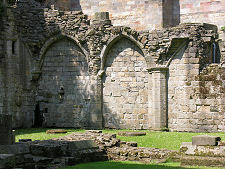 The result was that by about 1500, during the tenure of Abbot Andrew Masoun, the nave was considered surplus to requirements and much of it demolished, except for parts of the south wall which also served as the north wall of the cloister, and what then became part of the new tower built by Abbot Masoun.